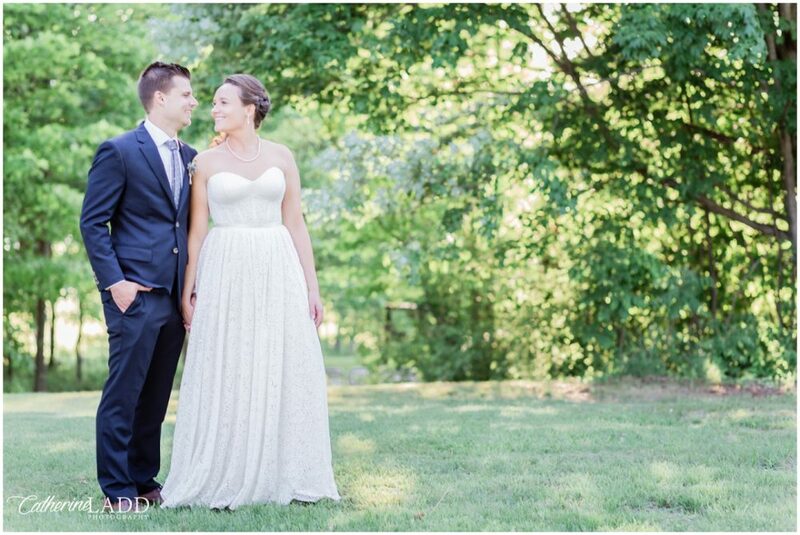 We just couldn’t wait any longer to share some of Patty & Mike’s wedding photos! 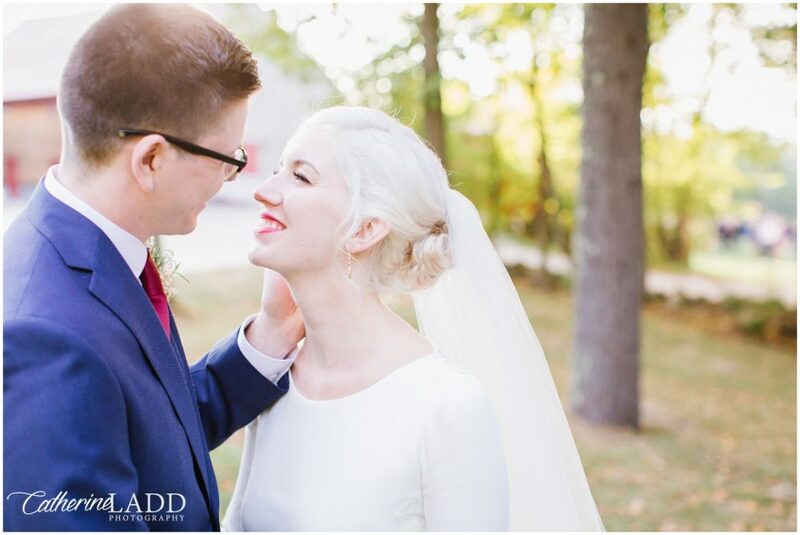 Their wedding at Fogg Farm in Gray, Maine was nothing short of amazing! Full blog post with more photos to come very soon. It was a weekend packed with family, friends and great memories, set along the rolling hills of Southern Maine. The beautiful venue at the historic King’s Hill Inn in South Paris, Maine has everything you could image for the perfect wedding. Plenty of lawn space, several different ceremony locations, a gorgeous barn and on-site accommodations for the VIP guests. Cam and Sam kicked their weekend off Friday evening with a quick sound check of the PA system which naturally grew into a few hours of dancing as guests began to arrive. As the evening turned dark, the party moved out back for a bonfire and caught up with great conversation and a few tunes. First thing after a great breakfast from the amazing staff at King’s Hill on Saturday morning, Cam and Sam began preparations for their wedding day. The day was the stuff of a storybook, the weather was perfect, the couple was beautiful and guests were joyful and eager to witness these two tie the knot. There was no shortage of beautiful photo opportunities at this venue and the ceremony location was no exception. Jeremy and I had a great time photographing the entire day, the guests and bridal party were so much fun as you can see in the photos. One of our favorite things about photographing weddings is that we get to learn so much about the couple and their families. Between this touching ceremony and a few sentimental toasts we certainly learned more than we could imagine about Cam, Sam and their awesome families. Immediately following the fantastic meal prepared by The Bread & Butter Co., the entire wedding crew brought their energy to the dance floor. The guests ran to the nearby barn to party and dance into the wee hours of the morning! Jeremy and I are honored to be a part of this big day and we couldn’t be happier for Cam and Sam! It was a typical chilly winter day in Damariscotta, Maine. 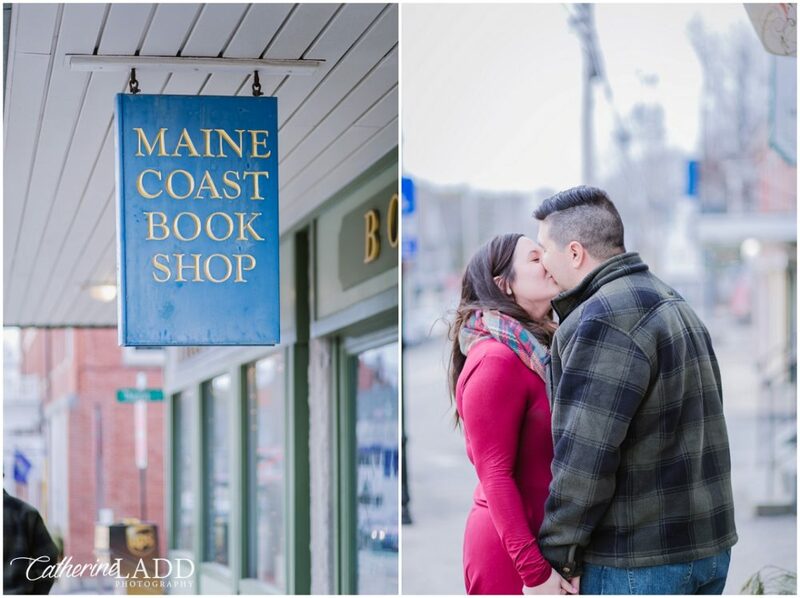 Ashley and Kyle were eager to stop by some of their favorite locations to spend time together and we came along photograph it! First stop was to warm up with a cup of coffee at the ampersand café right on the main street in downtown. We grabbed their favorite window seat and cup ‘o joe. We walked around town for a bit and then headed to the lake. 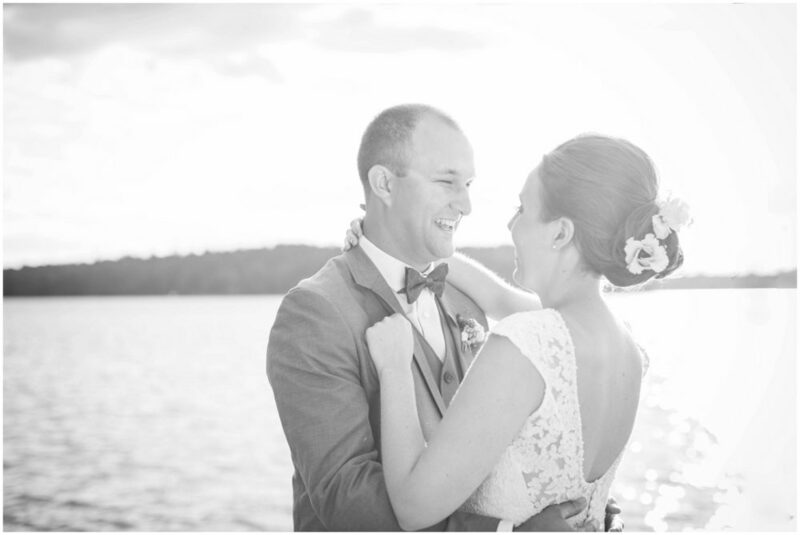 One of Ashley and Kyle’s favorite things to do is spend time together at their family’s gorgeous cabin, right on the lake in Damariscotta. We even had the pleasure of meeting their two pups, Walter and Zurie (also featured in this engagement session)! This time of the year, the lake was well frozen over, but still allowed for some great photos on the ice. The final stop was a trip to Oxbo Brewing co. This place was a-buzz of excitement, very busy, but a table opened up just in time for us to sit down for great conversation. We had such a great time hanging out with this awesome couple and can’t wait for the big day! When Carly and Patrick approached us about photographing their wedding, Jeremy and I thought they looked familiar. Turns out we actually met them at a wedding we photographed a few years ago. You can even spot them in a few photos from Kate and Mac’s wedding blog post here! So obviously, we were honored that they wanted us to photograph their wedding! 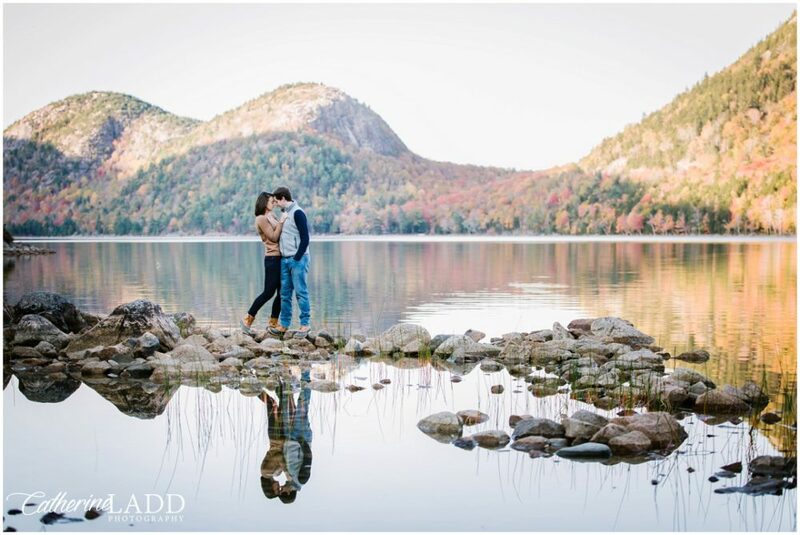 We planned a fall engagement shoot in the Bar Harbor area. Let’s face it, Acadia National Park can be a bit crowded at times, but I love that you can always find a beautiful spot away from the tourism chaos… you just have to look for it. So, we ventured down a path and stumbled upon some amazing lighting over a quaint little carriage road bridge. Perfect, exactly what we were looking for. We snapped some photos here, chatted a bit and as the sun started to set, we headed back towards the ever-popular Jordan Pond. It was great getting this couple in front of the camera and learning more about them. We cannot wait for the wedding day! This spot overlooked the vast ocean and the breakwater light house, several lobster buoys could be seen bobbing from the waves. Even the sound of lobster boats could be heard in the distance as they navigated through Rockland harbor. 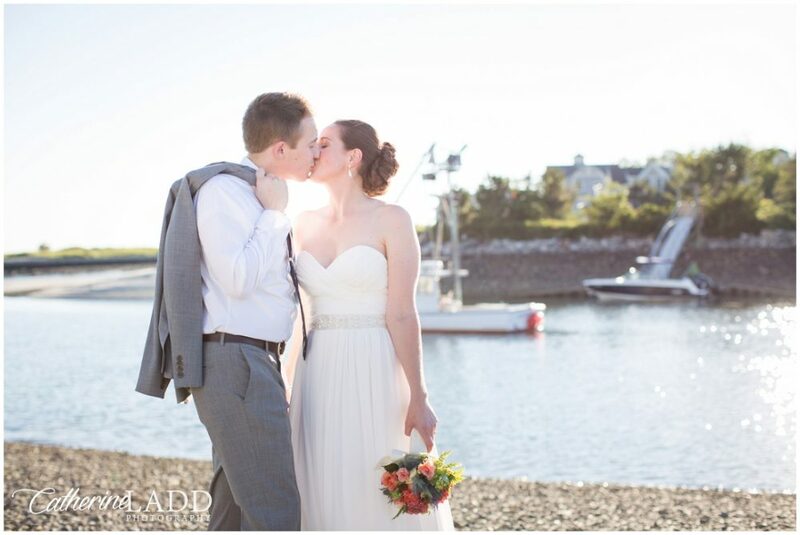 Now, when you think of “Maine Destination Wedding” how does that not fit the bill? Tess and Matt planned the perfect wedding that was a true representation of themselves and their new family. Jeremy and I first met the couple for their engagement photo shoot just off the coast of Yarmouth, Maine at their beautiful private island get-away. After hanging out with these guys for a few hours and getting to know them, it was obvious that they were planning to have a fun wedding. Fast forward to the wedding day. We arrived to learn friends and family were there for the entire week leading up to this day helping prepare and decorate. Such a fun way to add that personal touch, which was so important to Tess and Matt. The ceremony was held at a quaint little church just off the beaten path in Saco, a small Maine town, known for its coast lines and sand beaches. Immediately following the ceremony, guests scurried up the road a few miles to the family’s private residence, a beautiful farmhouse sitting atop the hill, overlooking the countryside of Saco. This farmhouse has been in the family for several generations and holds significant sentimental value for this family oriented couple. Friends and family came together from all over the globe for Tess and Matt’s special day, it was a perfect celebration. What a great way to spend a fall afternoon in the quaint little town of Belgrade Lakes. Aside from the Belgrade Lakes Golf Course and the Sunset Grill Restaurant there is usually not much excitement around this simple, Main Street town nestled between two lakes. The local convenience shop, Day’s Store, was certainly a buzz today, all the locals knew there was a wedding in town. The reception venue, The Village Inn, was all set up and ready to welcome guests to their gorgeous Great Pond waterfront property. The ceremony location was merely a few steps away, at a private residence on the shore of Long Pond, just on the other side of the street. 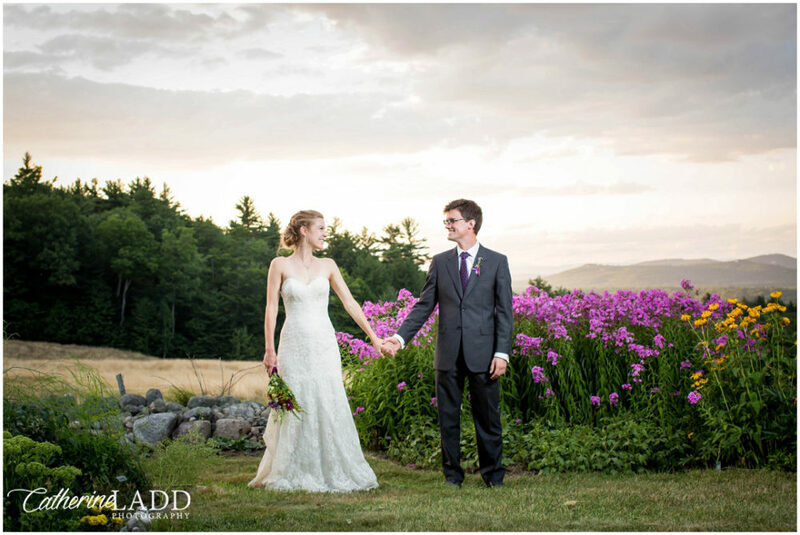 Kelsey and Sean tied the knot right where two iconic Maine lakes meet. A fitting location from how they got to know each other. 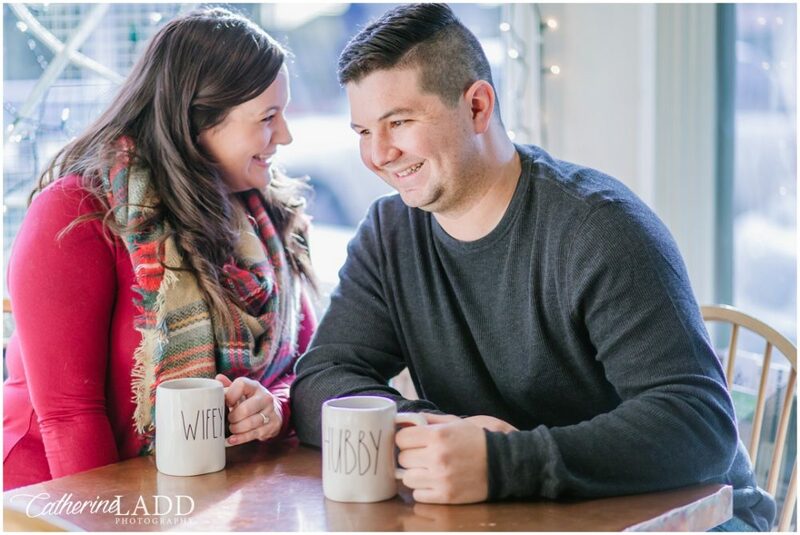 Sean’s family has a small fishing camp located on Great Pond and Kelsey’s family lake house right on Long Pond, I don’t think there could be a more perfect location for these two to get married! Maine became my home back in 2003 and in those 12 years, I somehow never made it down to Kennebunkport. I now know why it’s such a popular wedding destination! What a sweet and quaint area for a wedding! Kate & Mac picked an amazing location with The Nonantum Resort to say their I do’s. Right on the ocean harbor with a great view of the boats meandering by. 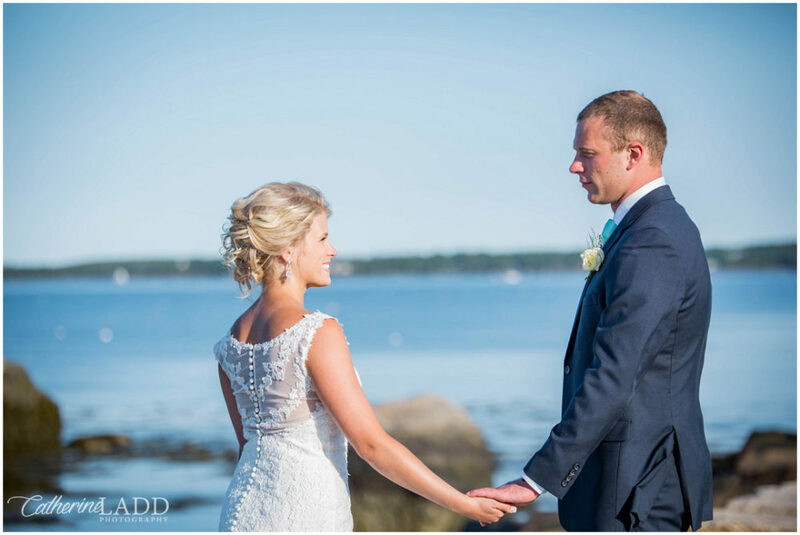 From the beautiful ocean-side first look to the exceptional gelato and donuts from our good friend at Gelato Fiasco and The Holy Donut, this wedding with filled with love, laughter and a whole lot of fun! We are so blessed to be a part of each wedding we photograph and Kate & Mac’s is no different. Congratulations you two! It truly was a wonderful day! Lizzy and Scott are one of the sweetest couples I will ever meet! The moment I met them, I knew their wedding was going to be awesome! First off, who wouldn’t want to attend a wedding in the heart of the Rangeley mountains? Right on the lake. Quaint cabins, natural and vintage accents and oh yeah….they brought their dog, Odie! (Keep an eye out for those adorable photos) We had a torrential downpour the night before, luckily the sun came out in the morning and it became a beautiful day. Friends and family came from all over to celebrate with Lizzy and Scott for a multi day celebration at Bald Mountain Camps. I loved getting to spend the whole weekend with everyone and really felt like family. We captured an adorable first look, a picturesque ceremony, many corn-hole games, and a very lively reception that ended with a beautiful sunset and a lot of sparklers. Congratulations Lizzy and Scott! I’m honored to be part of such an important day of your lives!